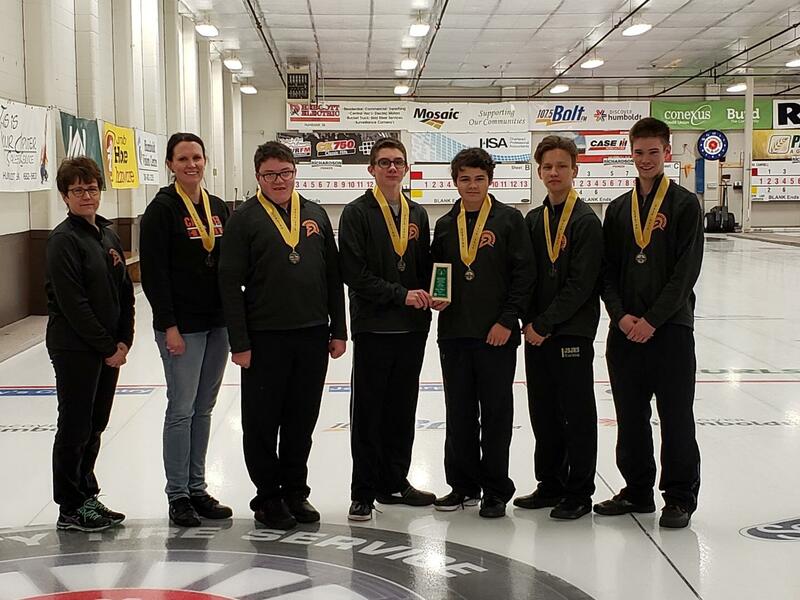 Spartans Capture SHSAA Curling Silver Medal! Congratulations to the Carpenter Spartans Boys Curling team who captured a silver medal at the SHSAA provincial championships. The boys played very well all weekend and placed second in their pool. They played Bellevue in the last pool play game and had to win in order to make the medal round. Skip Brody McAmmond made some clutch shots to keep the team alive as they stole the win In the last end. Saturday's semi final had the boys matched up against North Battleford Comprehensive. The Spartans came out slow and were down 5-1 in the 4th. They chipped away and stole the win in an extra end to advance to the gold medal game. In the final, the Spartans faced Regina’s Campbell Collegiate and couldn’t quite come out on top. The team is thrilled with the silver medal and look forward to hosting the 2020 Boys Provincials in Meadow Lake. ©2019 NW High School Athletic Association / SportsEngine. All Rights Reserved.